This boy isn’t the kind of kid who likes to come in last. Or one who likes to sit on the sidelines. This boy is a fighter. This is Jamie. For two weeks in 2015, the world seemed to stop turning for the Jones family. 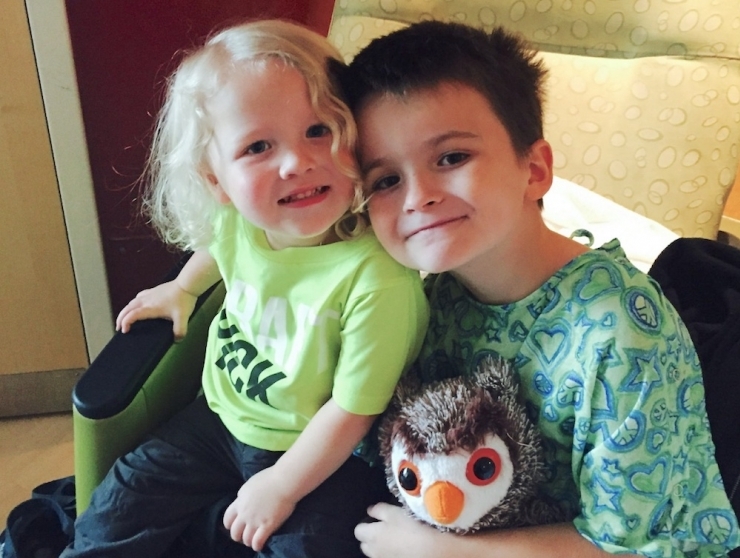 It all began when five-year-old Jamie came home from school with a sore throat. It was cold and flu season, kids get sick all the time, no big deal. Then one side of his neck swelled and was painful to the touch – Jamie’s mom knew then it was bad. ER doctors suspected a viral infection and sent them home with a round of antibiotics. It seemed too simple. The next seven days were a blur of increasingly critical symptoms – high fever, rapid heart rate and breathing, swollen lymph nodes. There was a multitude of frantic doctor appointments and another hospital admission. He was lethargic, his eyes were blood red, and he was too weak to walk. Jamie needed help and his family needed answers. “Jamie didn’t take to any particular sport except wrestling,” recalls his mom Jessica. “After trying football and baseball…wrestling was the sport.” In his first year on the wrestling team he placed first and second in local meets, sixth in his weight class at a high-level state meet. 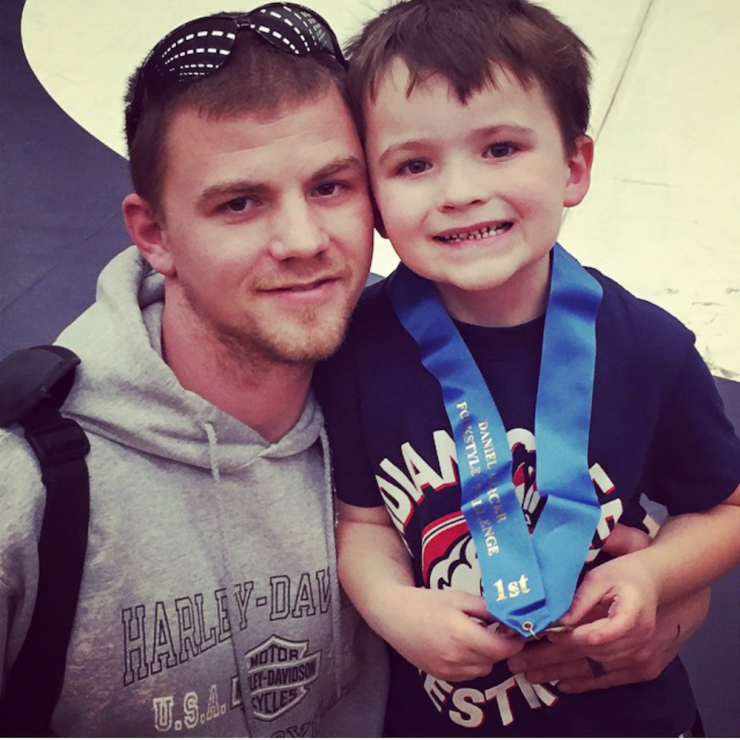 His dad had been a wrestler, and Jamie loved it, too. 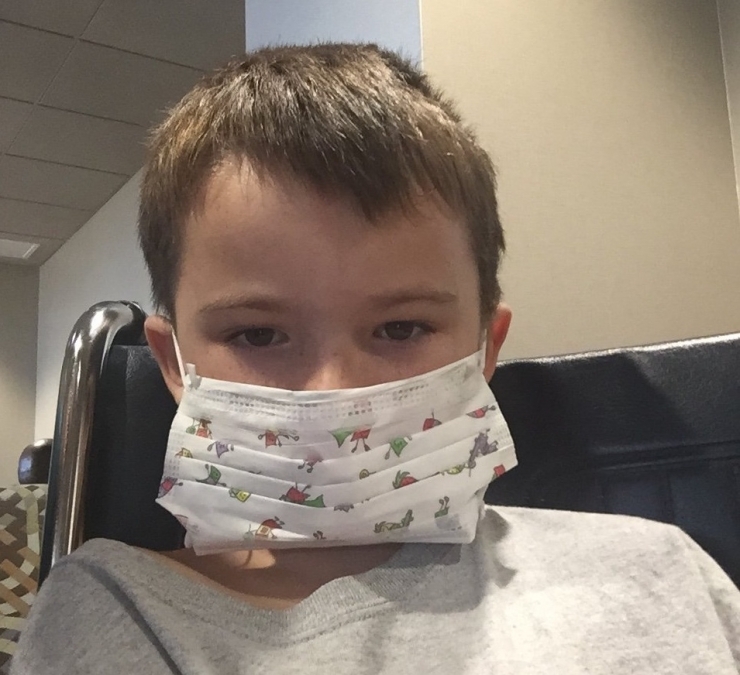 After 10 terrifying days, there was a breakthrough: Jamie had Kawasaki disease. 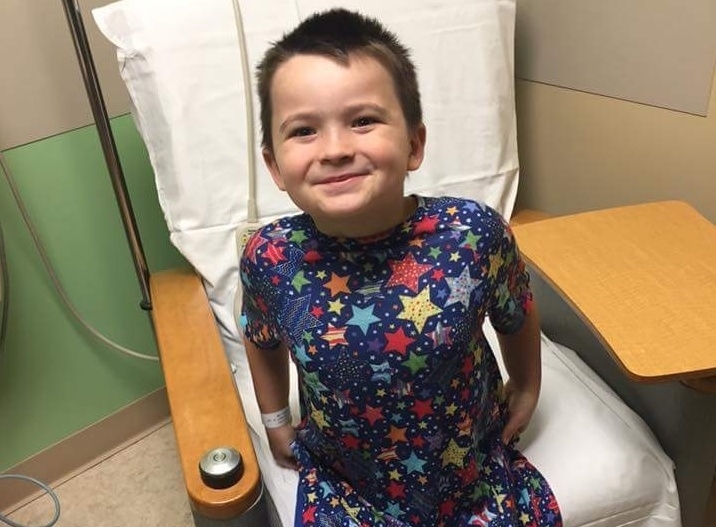 Looking back, he had almost every symptom associated with the condition, which attacks the blood vessels and causes aneurysms, inflammation of the heart and arteries, and sometimes, cardiac arrest. The longer a patient goes undiagnosed with Kawasaki disease, the greater the chance of heart damage – we’re talking days, not weeks or months. Most patients are under five years old, but like any rare disease, there are no hard and fast rules. True to form, Jamie fought back. Doctors revealed it would be a mighty battle – just four short days after getting sick, there was serious heart damage. Tests showed three large aneurysms in his left anterior coronary artery and another in his celiac artery. It was a very big deal. 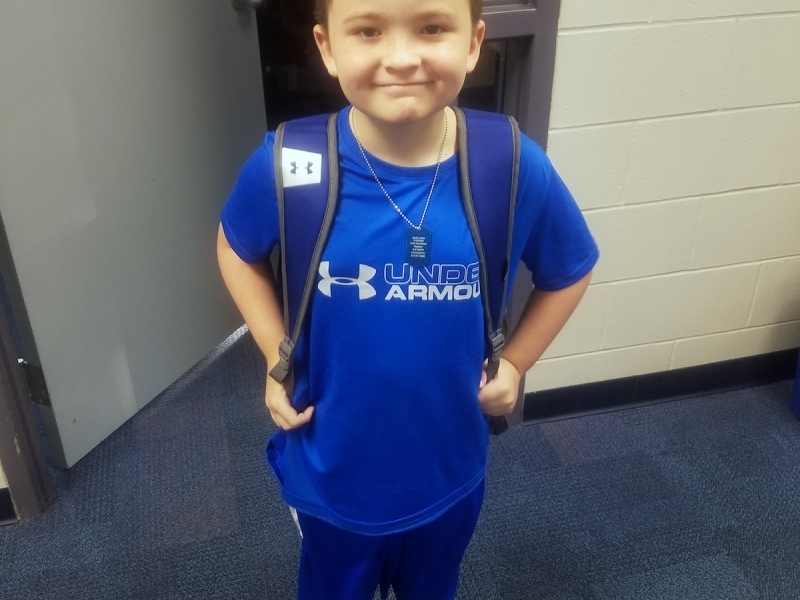 “He went from being all boy to watching every little step,” Jessica says. “It was such a big change within just a few weeks.” To keep Jamie’s heart healthy, there were lots of adjustments. For eight months, they gave Jamie daily injections in his stomach to prevent more arterial inflammation. He started medication to thin his blood and prevent dangerous clots. He had to avoid injuries as much as possible…no more riding his bike or skating with his friends. Oh, and no more wrestling. It seems small, but Jessica knows it’s one of the hardest parts for Jamie, his dad, and Jamie’s four-year-old little brother Jackson. “[Jackson] doesn’t understand why Bubby can’t wrestle anymore,” she sighs. It’s just too risky. “Our lives went from normal, carefree, to worry about every single thing.” Will a minor fall mean a trip to the ER? Will a cut turn into massive bleeding? Are the medications keeping Jamie’s blood thin enough? Or could a clot send him into cardiac arrest without warning? 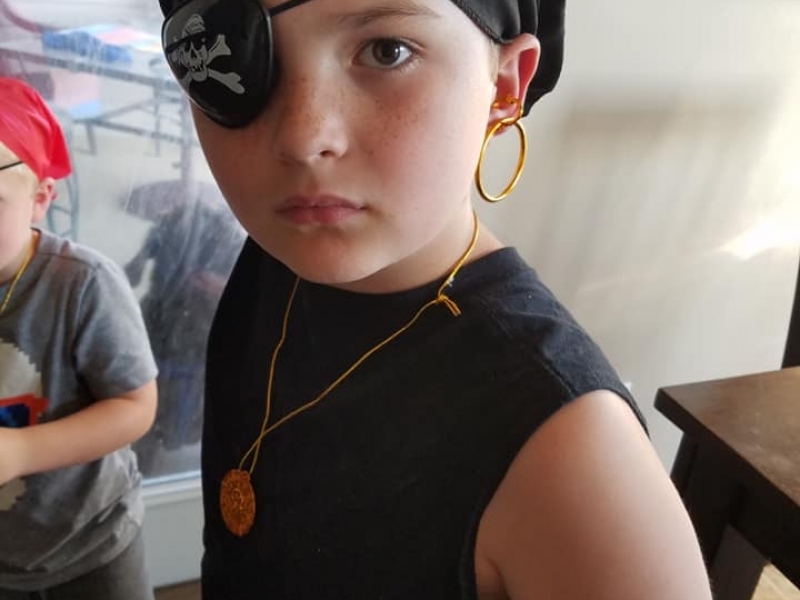 The thing about kids, about this kid in particular, is they’re resilient. “They don’t sit there and think about ‘what-ifs’ like adults do,” explains Jessica. They think about what’s next. You know those motivational posters about having a “can-do” attitude? I think Jamie was the inspiration. With almost everything “fun” suddenly off limits – sports, adventuring, general tomfoolery – Jamie wanted to know what he could do. Enough with NO already. The answer came in the form a Speedo and a yellow swim cap. Naturally. 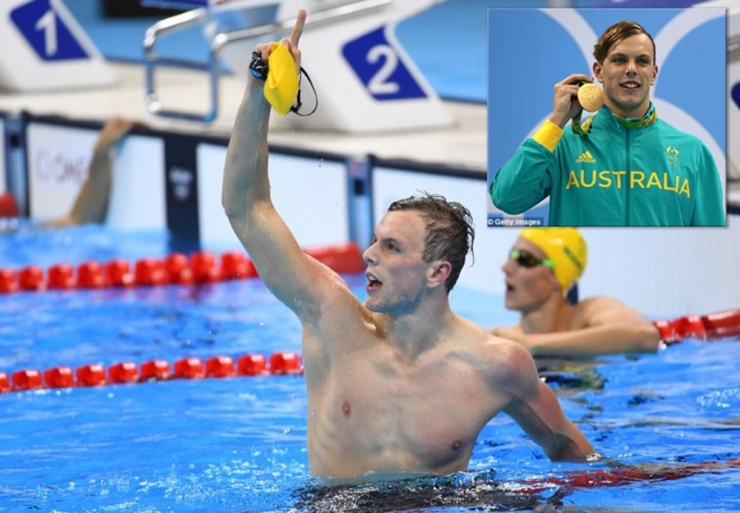 Kyle Chalmers is an Australian junior world record holder, Olympic gold medalist, and an athlete who also happens to have Supraventricular Tachycardia, a condition that can cause his heartbeat to spike dramatically without warning. But he’s swimming. After watching Kyle win gold at the 2016 Summer Olympics, Jamie perked up. If Chalmers could swim competitively despite his heart condition, Jamie could swim, too. 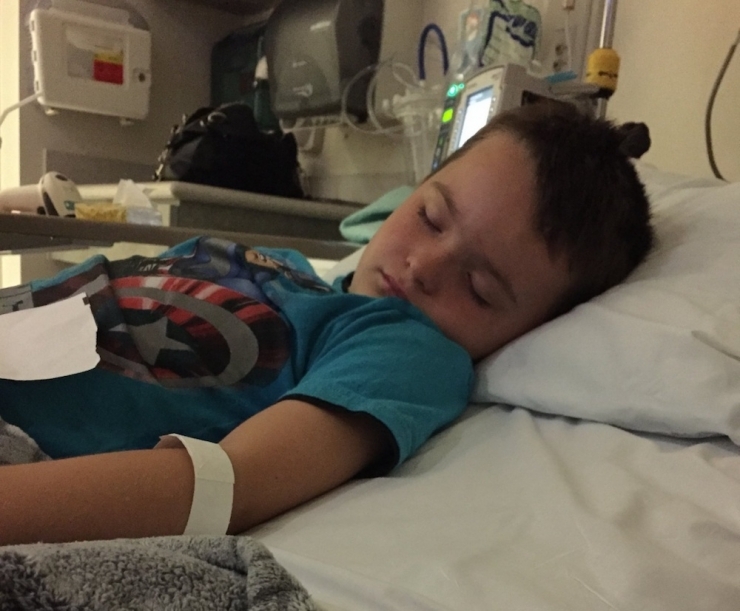 But Kawasaki disease took a big, big toll on Jamie’s body; every movement is a challenge. 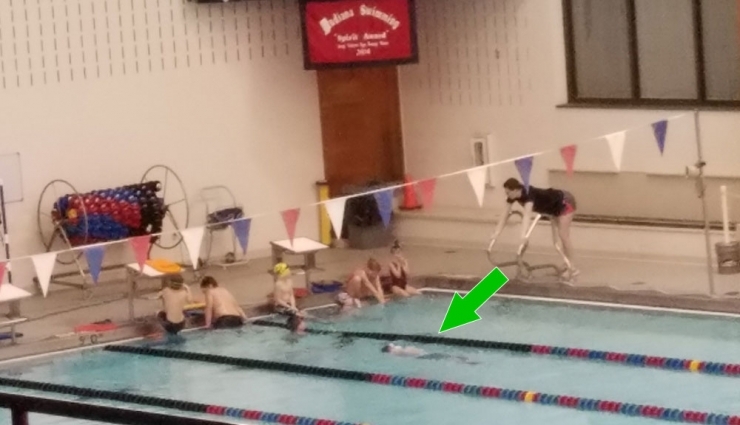 More often than not, he’s the last one in the pool, his friends cheering him to the finish. But he’s swimming. Jamie is the kind of kid everyone likes to root for. He’s a warrior, an optimist, determined to find the good in everything. 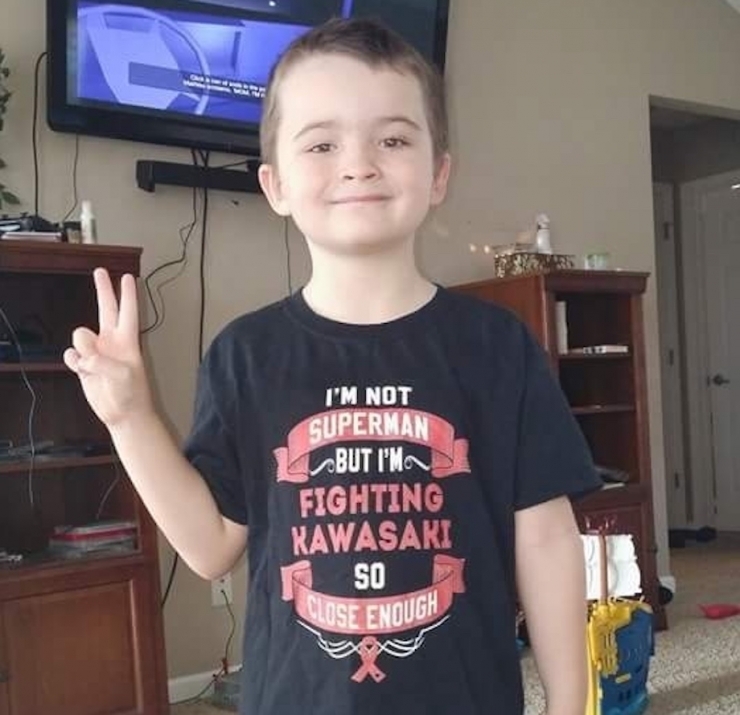 So when he told his mom he’d like to lift the spirits of a newly-diagnosed kid from the Kawasaki Facebook group, she wasn’t surprised. 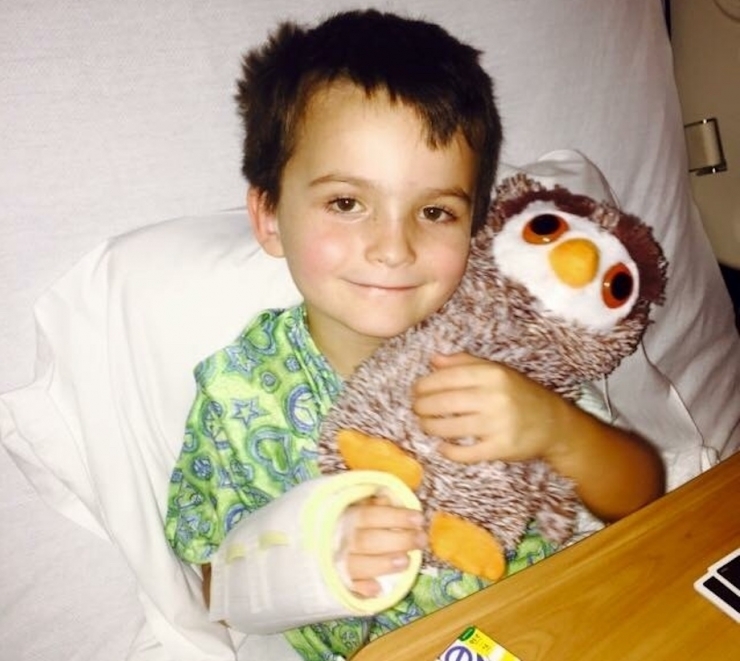 Jamie sent a book so his new friend could pass the time while in the hospital. 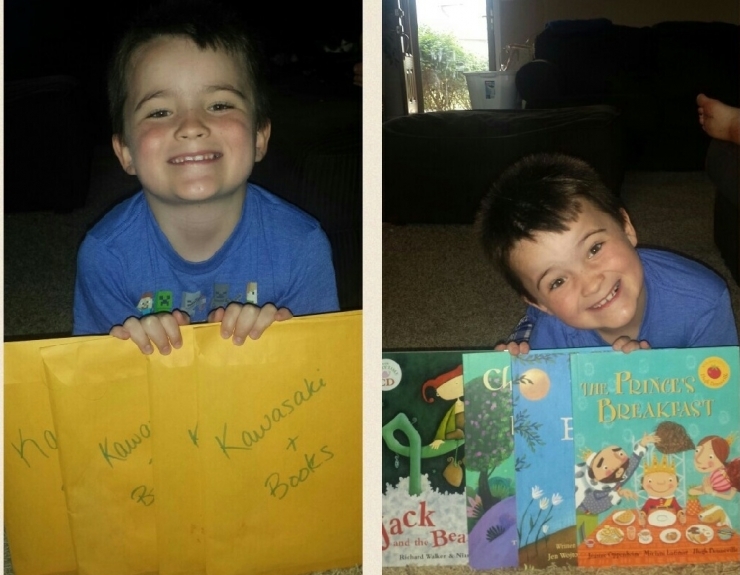 More than 20 sick kids have gotten books from Jamie since then, because it’s what Jamie does. “He gets so much joy sending books to kids,” his mom says. “He likes getting their pictures and knowing he made them smile.” You’re smiling right now, too, aren’t you? 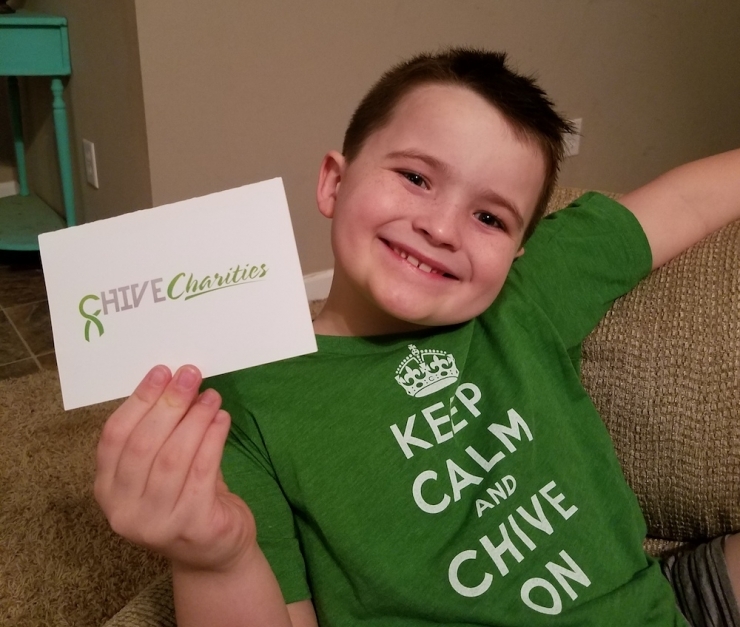 Chive Nation is all about paying it forward, too, and helping brave kids like Jamie keep up the good fight. We’re also really good at lifting some of the worry their grown-ups have to shoulder. 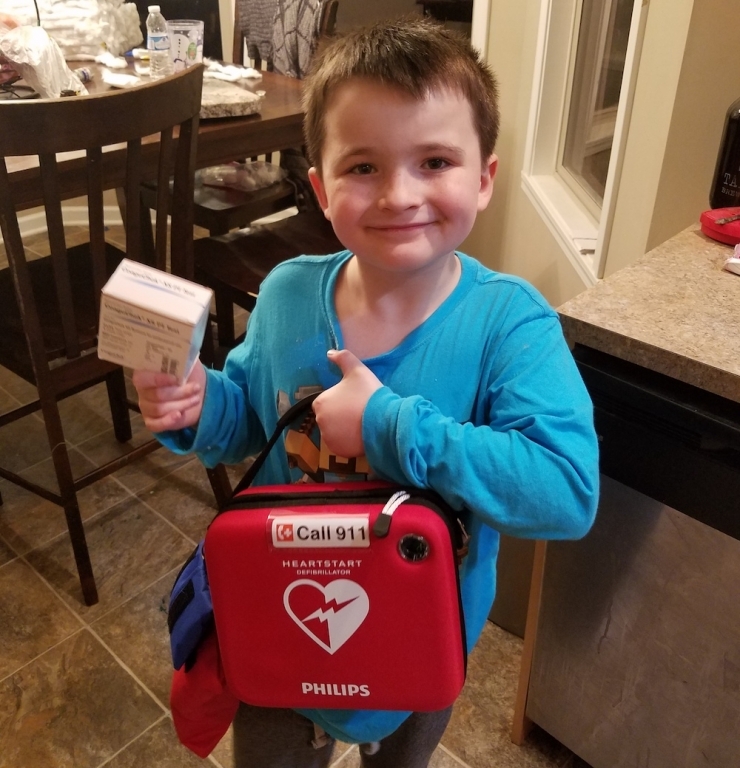 Chive Charities is so excited to provide a $9,000 grant to cover a few things that will bring Jamie’s family so much peace of mind: a portable defibrillator and blood coagulation testing strips, plus a therapy spa tub to keep Jamie’s strength up and his pain at a minimum. Just keep swimming, Jamie! Our members who donate monthly are the heroes behind every story, including Jamie’s. Nothing we do would be possible if not for their generosity. If you’re not a Green Fund Member, click right HERE and become a hero for another fighter like Jamie.